Thank you for joining us for our Ethics meeting where Bob Price, President-Elect of the Texas Society of Professional Engineers, showed us the informative video on Henery's Daughters. The video showed that good and well-meaning folks can unintentionally get into situations that may results in unethical consequences. Thank you City of Arlington for hosting our chapter. Thank you to all who joined us as we hosted our annual MATHCOUNTS competition! Students from our chapter boundaries came to compete in a series of math competitions developed to test their comprehension and analytical capabilities. Good luck to those individuals who qualified for the State Competition held in Austin, TX on March 30, 2019. Thank you to the City of Dallas for providing our membership with updates on their Design Standards and Bond Program progress. Thank you to all who came to celebrate with us! We look forward to another great year in 2019! Thank you to Kris Russell with DFW International Airport for speaking to us on the topic of carbon neutrality and the airports goals in sustainability. Thank you to Nico Sutmoller from Aerix Industries for his presentation introducing our membership to Cellular Concrete and advanced foam technologies. Thank you to everyone who participated and volunteered for our 4th annual Disc Golf Tournament. A big thank you goes out to Scott Carlson from Iteris for his presentation on applied informatics for transportation and agriculture. Thank you to the folks at Forterra Pipe & Precast for hosting our chapter and educating us on the manufacture and testing techniques used in the development of storm drain pre-cast reinforced concrete pipe. Thank you to Blake Alldredge from the upper Trinity Regional Water District and the information provided to our membership on the Denton County Greenbelt Plan. Thank you for joining us for our March general meeting where Loyl Bussell, P.E., acting district engineer, provided us with updates on Texas Department of Transportation - Fort Worth District projects . 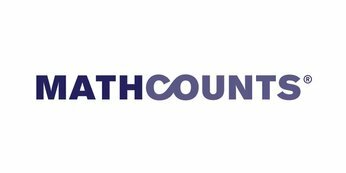 Thank you to all who joined us as we hosted our annual MATHCOUNTS competition! Students from our chapter boundaries came to compete in a series of math competitions developed to test their comprehension and analytical capabilities. Good luck to those individuals who qualified for the State Competition held in Austin, TX on March 24, 2018. Thank you to those who joined us for our January general meeting. Ken Griffin and Kent Collins with the City of Coppell provided us with great insight into the proposed reconstruction of one of the city's major thoroughfares - Freeport Parkway. Thank you to all who attended as we celebrated another successful year! Thank you to all who attended as Kori Mullen from North Central Texas Council of Government discussed updates to the Public Works Construction Standards ahead of the eagerly awaited release. Click here to download the presentation from our November meeting. A big thanks to our speaker Steven Duong from AECOM for his presentation on the Texas Hyperloop. Thank you to all that participated in the DFW Mid-Cities 3rd Annual Disc Golf Tournament. ​A special thanks to all our volunteers and hole sponsors for their continued support of our chapter. A big thanks goes out to the City of Southlake, presenter for our September meeting, for providing us with an update into their operations. Construction Law by Ryan Starnes, partner at Libby, Sparks, Willis & Starnes. Many thanks to all that volunteered this year at our annual event. Good luck goes out to all our schools and individuals who qualified for the state competition? The Chapter took part in the annual celebration of E-Week. This year, our chapter joined forces with the TSPE Fort Worth Chapter to participate and to also honor our recipients of Engineer of the Year and Young Engineer of the Year. Click here to download the presentation from our January meeting. Thank you for everyone who attended the annual Holiday Party at Tolbert's in Historic Downtown Grapevine. We wish you all very happy holidays and a very Happy New Year! Trish B. Smith, CAE (Certified Association Executive) is the Executive Director of the Texas Society of Professional Engineers. Trish has been with TSPE for 18 years overseeing the programs and staff of the organization. Her responsibilities include oversight of the legislative, education, membership, finance and human resource areas. She is also the Executive Director and a Trustee of the Texas Engineering Foundation and manages the TSPE Political Action Committee for Engineers (PACE). Sandy Wesch from the North Texas Council Of Governments presents on "Planning for the Year 2040"
Ms. Wesch is a Project Engineer for the North Central Texas Council of Governments. She has over 27 years of experience in the planning, design, and environmental aspects of transportation projects. She has worked on projects ranging from roadways to light rail to freight rail. She leads the Environmental and Project Streamlining team, which partners with TxDOT and other transportation providers to advance critical regional projects by moving them to construction as soon as possible. This approach helps reducing cost escalation due to inflation, alleviate congestion and improve air quality faster. She will be talking about “Planning for the Year 2040.” NTCOG is currently developing Mobility 2040 (seehttp://www.nctcog.org/trans/mtp/2040/). Dr. McCabe is Executive Director of the University of Texas at Arlington Research Institute (UTARI). He has provided leadership for various research organizations for more than 30 years in both the university and industrial arenas. He has been a leader in creating technology-based economic development resulting from successful R&D programs. His technical experience and background are in the areas of polymers, fibers and composite systems. He is the sole inventor on U.S. Patent # 4,661,336 concerning the production of carbon fibers. Prior to the UTARI position, Dr. McCabe was Vice President for Research and Executive Director of the Research Institute at the University of Dayton. While there, the University of Dayton and its Research Institute became a regional leader in technology-based economic development and a national leader in materials research. Dr. McCabe played a significant role in convincing GE Aviation to build a research center on the University of Dayton’s campus. The GE EPISCenter will create new technology and products for integrated electric power systems for aircraft. Don Winfree from Lockheed Martin presented "One Person Really Can Make a Difference". It is my story of producing the simple RCCA process that is now the genius for a new corporate wide process, the individual rigs I built and ran to allow us to fly STOVL and win the F-35 program, solve the F-22 Life Support Issue that had national attention from a "60 minutes" episode, current stinger missile issues, atomic clock and so many more. The success of this effort has caused me in the time of crisis to be one of the most called on engineers at Lockheed Martin and around the globe. My presentation is inspiring, educational and always leaves the audience with their mouth open. My work resonates with the young and the old and caused Bob Stevens to award me an individual Nova award for innovation in 2011, the only one given and my 4th. This work and my own trials including fighting cancer will change you forever and cause you to take on new challenges and trials with a whole new light. 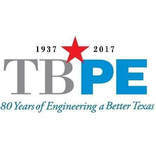 TSPE Mid-Cities Chapter welcomed Mr. Eubanks, the Chief Stormwater Engineer for the City of Fort Worth, has worked in the City's Stormwater program since 1999. He has overseen new development review, capital project management, flooding and drainage complaint investigations, and engineering assistance for maintenance projects. He assisted in the development of the City's Stormwater Utility and the 2006 Fort Worth Storm Water Management Design Manual and most recently oversaw development of the City's Stormwater Master Plan. Mr Eubanks walked the group through a great presentation on the history of Fort Worth's drainage complications, goals, and successes. TSPE Mid-Cities Chapter welcomed Nancy Blackwell, P.E., incoming President of the State TSPE Chapter, and Konstantine Bakintas, PE, to initiate the incoming board and present on membership. The meeting end and some putt-putt and go-karts commenced into the night. 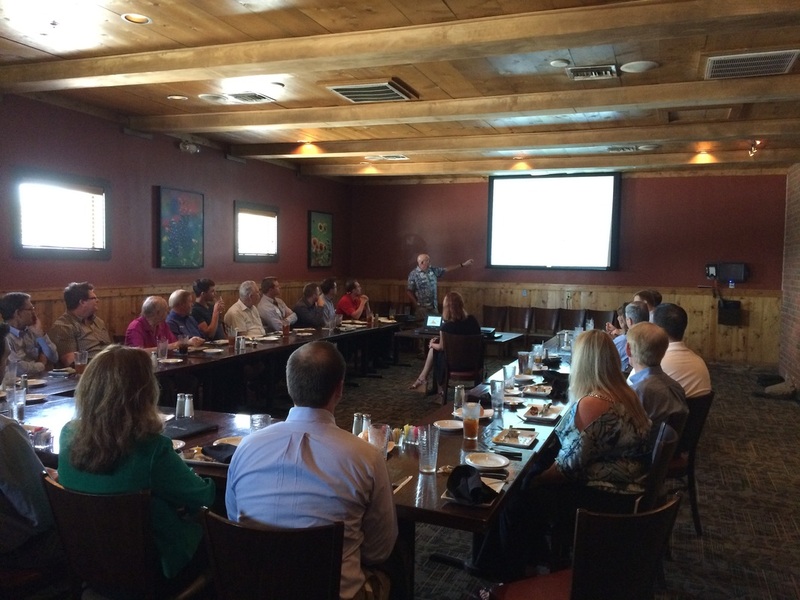 TSPE Mid-Cities Chapter hosted a social on Thursday, May 28th. The event was well attended and enjoyed by all. 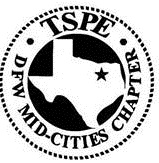 TSPE Mid-Cities Chapter host our April presenation. C.W. Clark, P.E. from the Texas Board of Professional Engineers presented on Professional Practice Updates & Ethics. TSPE DFW Mid-Cities Chapter hosted our Annual Awards Banquet honoring MATHCOUNTS Students, Scholarship Recipients, the Past President, Young Engineer of the Year, and Engineer of the Year. The TSPE DFW Mid-Cities Chapter hosted their annual 2015 MATHCOUNTS competition at The University of Texas - Arlington. 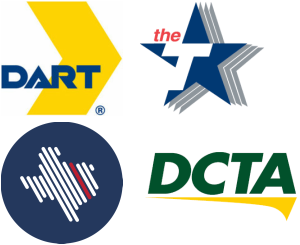 The chapter hosted a Railway Roundtable discussion featuring representatives from Dallas Area Rapid Transit, The T, Denton County Transportation Authority and Texas Central Railway.